Today is Bach‘s birthday (1685-1750). This entry was posted in Birthdays, Music on March 21, 2011 by Michael Happy. On this date in 1783 Mozart’s Symphony 36, “Linz,” premiered in Linz, Austria. This entry was posted in Anniversaries, Music on November 4, 2010 by Michael Happy. 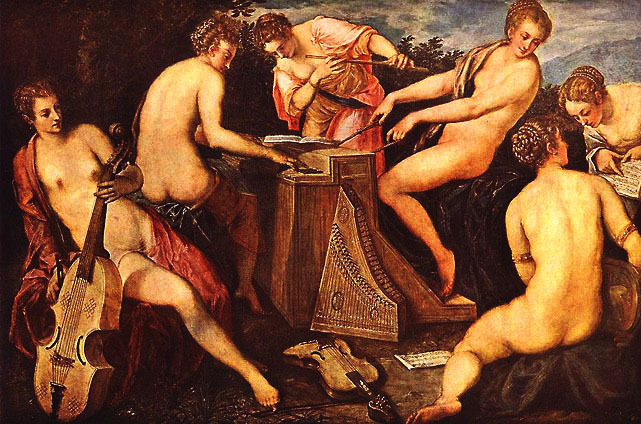 Today is Tintoretto‘s birthday (1518-1594). I’ve noticed while trolling for Frye quotes how interesting it is to see who or what he’ll mention in passing to make a larger point, as he does here with Tintoretto. It’s always easy to get the measure of Frye’s genius in bulk; but there is a particular pleasure in picking it up in the tiniest detail. And, in a pleasant bit of serendipity, the larger point of the quote below nicely complements the painting above. This entry was posted in Birthdays, Music on September 29, 2010 by Michael Happy.